Hi Lovelies! 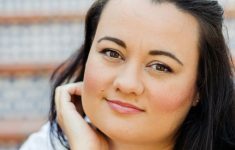 Both Louise and myself are deep into writing lists and organising moving house – it can be a stressful time with my own house sale falling through, twice – but it’s also really exciting. 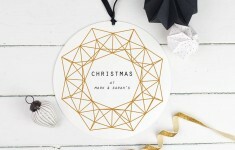 I’m keeping focused on the fresh start and of course all the ideas for decorating and making the place your own. 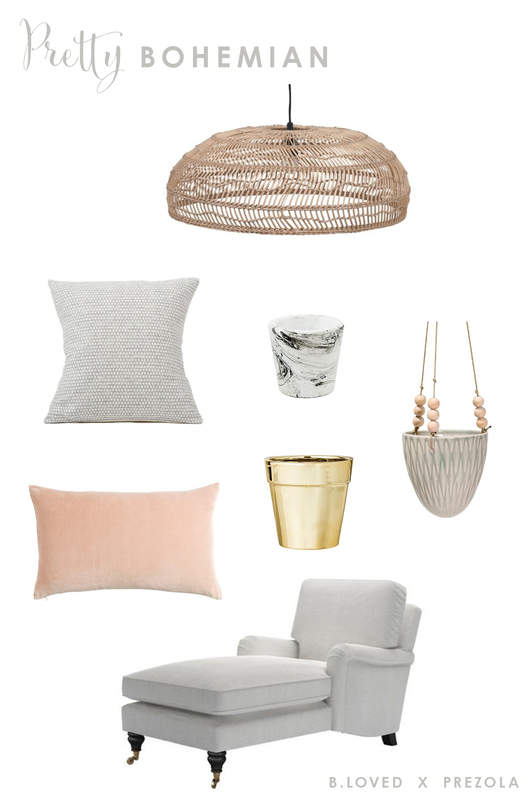 So, I’ve been finding plenty of inspiration for home decor over the last few months and there are a fair few trends which have stolen my heart. One is the Modern Bohemian look, and there are few different ways which you can implement this style into your home and we’re going to show you how along with some of our favourite pieces here on B.LOVED today! If you’re getting married, you’re likely to be adding fabulous homeware pieces to your wedding gift list – whether you’re moving home or not! It’s a great way to purchase really special pieces you’d love to build your own little sanctuary together, and our go-to gift registry has to be the award winning Prezola. 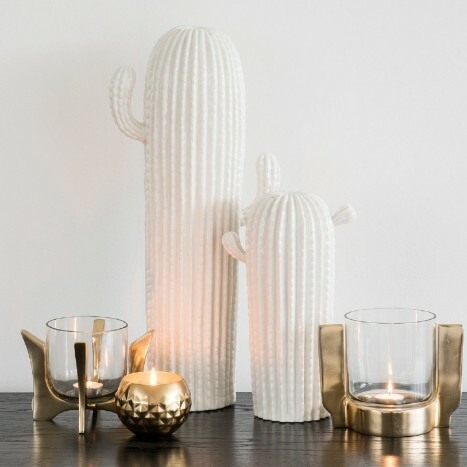 Inspired by their recent ‘Get the Look’ with a Bohemian Desert style, we loved collecting ideas and pieces throughout their vast collection of products and brands for you today. 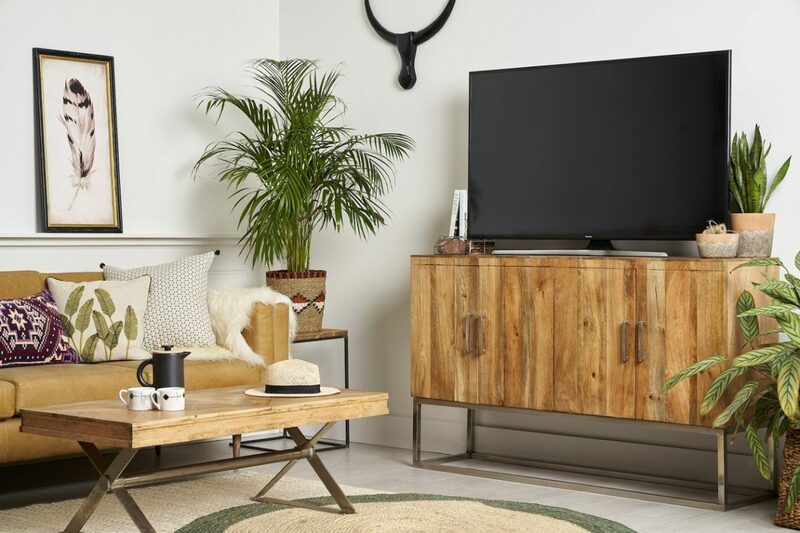 Let’s look at B.LOVED’s way of creating a boho chic vibe for your home, starting with key pieces to add which will really give it that lovely essence. Textures are important for this trend so you’ll find that many of the pieces we’ve chosen from Prezola today, have texture and even patterns. Pouffes – Oh how much I am loving the collection of pouffes at Prezola right now! 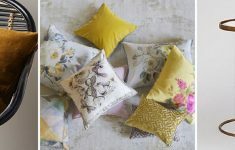 A key brand to look at for these beautiful embroidered designs is Bombay Duck at Prezola, and you’ll find a range of colours too. You can either choose a statement stand alone pouffe for your lounge area, or a few to scatter around the room. For this look I’d choose different designs which compliment each other, for example a beautiful round pouffe by Bombay Duck which is at a much lower level and a square pouffe design which is higher up as a seat of footstool. Pouffes are super fashionable at the moment and look great with an occasional chair too. Storage Baskets – Totally boho vibes! 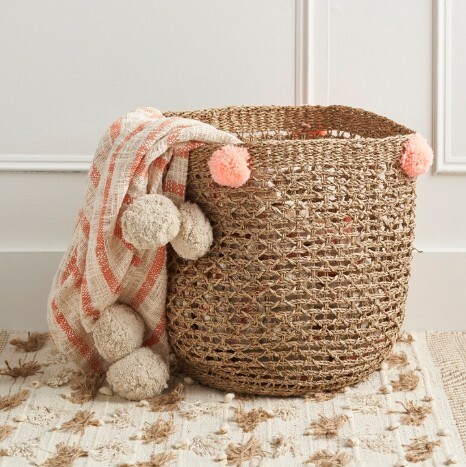 Whether you love a sturdy rattan style basket or something more fun like the Ali&Co. 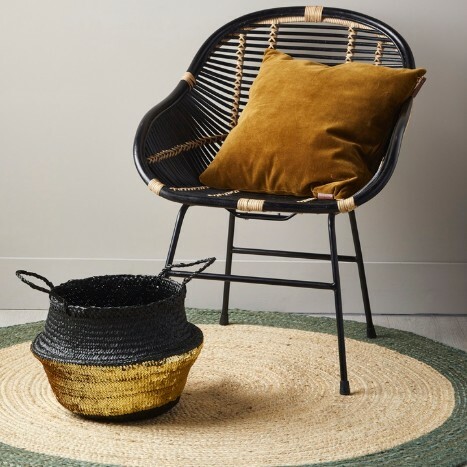 Seqinned Basket in black + gold – or my personal favourite the Rustic Seagrass Basket by Ali&Co. complete with coral pom poms – ( yes please) and this is exclusive to Prezola! 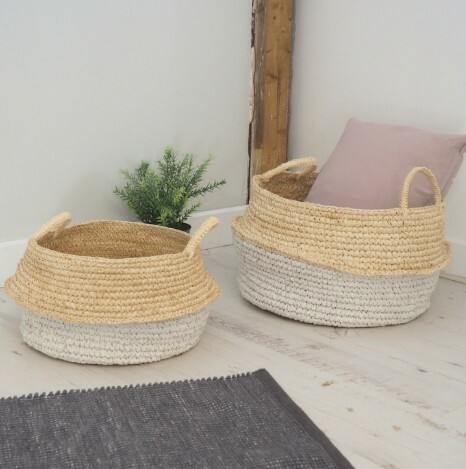 There are different ways you can incorporate the lovely storage basket into your living room too – I like to keep soft blankest and throws in mine for cosy evenings. You can even use them for statement house plants – but of course do keep them in their plant pot inside the basket too. Plants – House plants are so popular and they are a really feel good addition to home as a change from fresh flowers too. There’s just something so lovely about having lush green living things displayed in your home – and so many of them are super easy to take care of too! The Snake Plant is said to be a fool proof house plant, and I’ve had one for over a year now and love it’s tall spiky leaves, and I can confirm that I’ve neglected it from time to time and it’s thriving. Displaying your plants is a key element and you can do this either with cool plant pots, or trendy hanging pots like this beauty from Bloomingville at Prezola. If you use a base of neutrals you can easily add some colour into your living space to suit your own style. Perhaps you want to add some brighter pops like pink or for something super pretty like this lovely example below with pastel touches. Soft blues and pinks always look beautiful with neutrals and I’ve fallen in love with this pink velvet Jaipur cushion by Christy Linens at Prezola and relaxing on this adorable chaise lounge by Sofa.com at Prezola. 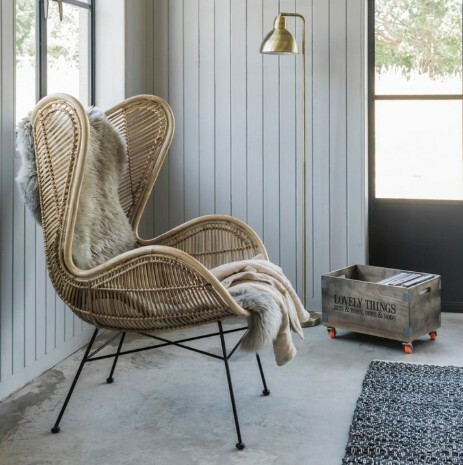 This large pendant shade of woven cane by LightStore at Prezola, is a great boho feature, feels quite beachy too which I love – and you’ll find pendants like this trending everywhere right now too. Did you know that you have group gifting available when you register for your wedding gift list at Prezola too?! So, this means if there are some special pieces you’d love that are higher priced, it spreads the cost out. We think this is such a brilliant idea and your family + friends will love that they’ve contributed to something extraordinary and memorable for you too. Another key palette for a bohemian styled room is mixing neutrals with black and hints of metallic tones, especially dashes or gold. Hammered metal items are great, and you can mix wooden pieces with metal textures too. FEATURED ITEMS . Pendant Light: Cane Ribbed Pendant by LightStore At Prezola £149 . Grey Cushion: Classic Clarendon Cushion Tori Murphy at Prezola £70 . Marble Plant Pot: Marbled Cement Cacti Pot by Ivyline at Prezola £6.99 . 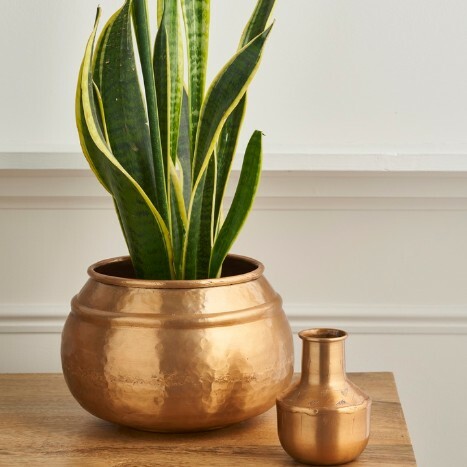 Gold Plant Pot: Shiny Gold Stoneware Plant Pot by Bloomingville at Prezola £19 . Hanging Pot: Hanging Ceramic Planter by Bloomingville at Prezola £25 . Pink Cushion: Jaipur Cushion in Dusky Pink by Christy Linens at Prezola £30 . Chaise Lounge: Bluebell Daybed in Nickel Pure Belgian Linen by Sofa.com at Prezola £1200 . Below you’ll find a selection of pieces from Prezola’s current collection which are perfect for mixing a neutral colour palette with black. I love so many of these pieces that it’s hard to pick a favourite but I’m a big fan of beaded chandeliers like this statement black design by Ali&Co exclusive to Prezola. Or you could go for a modern statement with a sputnik styled light design like the amazing Tangle Pendant in Black + Brass by Made.com at Prezola. Which is your favourite style? Other key pieces just had to include a statement circular mirror such as the Chiltern Mirror by The White Company at Prezola. These look fantastic over a mantle fireplace or sideboard, and they lend themselves to a more minimalist look as well as bohemian. 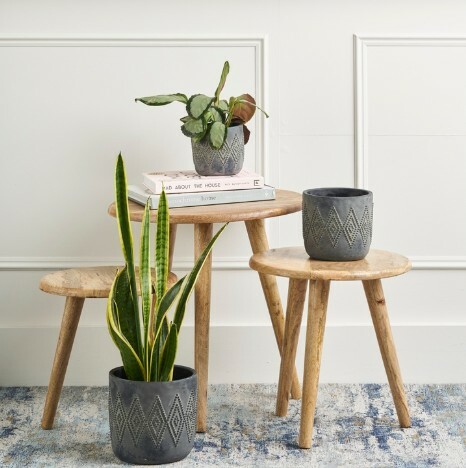 Let’s not forget to mention adding a statement armchair and I have found two brilliant options – the Odum Chair by Nkuku at Prezola has a pattern which stands out and is certainly bohemian, but the chic neutral colours mean it will suit a variety of spaces. My other fave has to be this spectacular Rattan Wing Chair by Graham + Green at Prezola! Isn’t is fantastic! It’s sculptural shape means it’s quite the show-stopper and it lends itself to a Scandi style too. 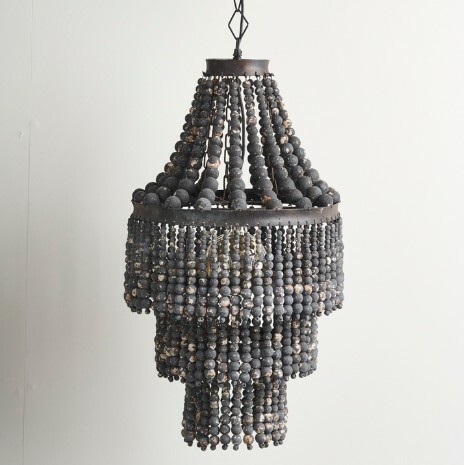 FEATURED ITEMS: Beaded Chandelier: Black Teardrop Beaded Chandelier by Ali&Co. at Prezola £215 . 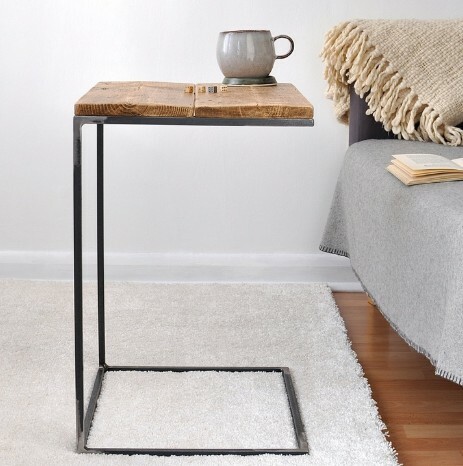 Side Table: Reclaimed Wood + Steel Side Table by Moa Design at Prezola £145 . 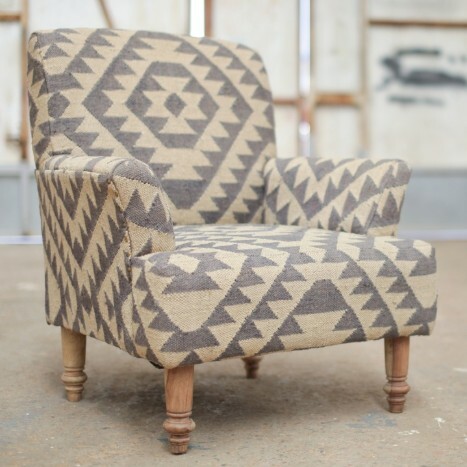 Patterned Armchair: Odum Chair by Nkuku at Prezola £995 . 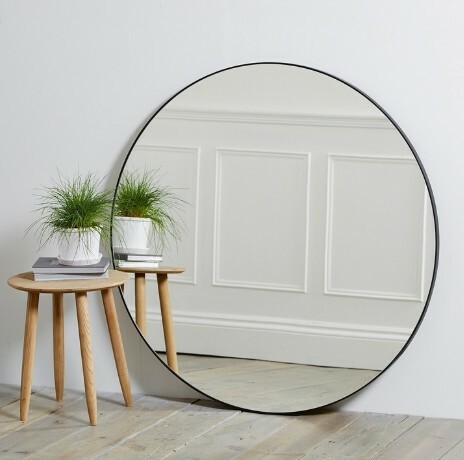 Mirror: Chiltern Thin Metal Circle Mirror by The White Company at Prezola £295 . 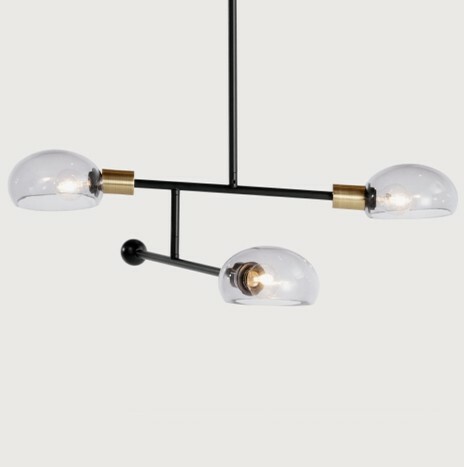 Sputnik Light: Tangle Pendant Light in Black, Brass + Smoked Glass by Made.com at Prezola £105 . Rattan Chair: Rattan Wing Chair by Graham + Green at Prezola £543 .